Camping season will soon descend upon us. For the avid camper, there is nothing like loading up the RV or pitching a tent and getting closer to nature. But even this so-called cheap vacation costs you big bucks if you don’t know how to plan for your next camping trip. Getting into national parks costs about $30, pre-chopped firewood runs you about $15, and gas… Gas usually costs an arm and a leg. But there is a cheaper way to enjoy your time under the stars. Here are three very useful ways that you can save on the expense of camping, without skimping on the experience. If getting away from it all, including the annoying crowds, is what camping is all about for you, then camp during the shoulder season. The shoulder season typically runs from late fall to early spring. The actual months can vary, depending upon where you decide to camp. But generally speaking, you are looking at just before Memorial Day or just after mid-September to mid-October. For example, seven days in Yosemite costs about $30 during the height of the season and $25 in the shoulder. You should also be aware that the $25 is for one vehicle filled with people, like clown-car-filled-with-people kind of full. We’re exaggerating a bit, but you get the idea. If you bring five people, you’ll camp for seven days for $5 each. 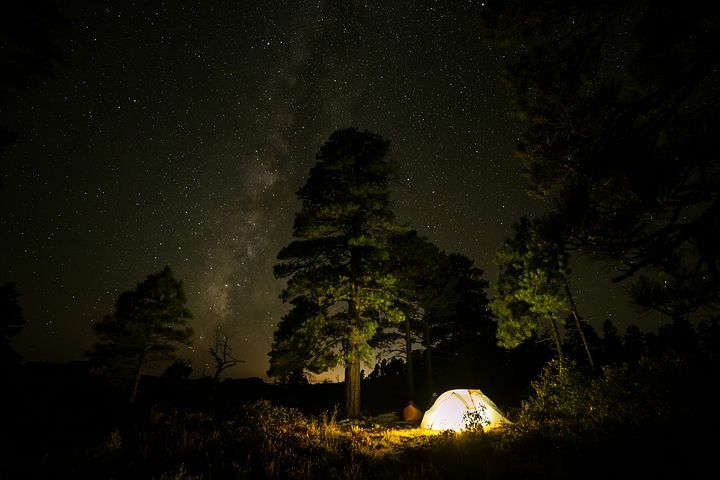 That said, if your heart is really set on going during the season, then concentrate on either finding low-cost or free spots in campgrounds in the national forests or on BLM land. And dispersed camping – the spot of ground you find by a creek somewhere – is usually free. Just be sure to bring your amenities with you when you go this route. Would-be campers buy prepackaged food because they believe that cooking more “homey” meals is difficult over a campfire. However, that doesn’t have to be the case. To get around this cost, you should cook meals ahead of time and then store them in camp-friendly containers. Camp Smart Caravan Accessories makes collapsible stackable silicone food storage containers. Then, once you’re at camp, get out the Dutch oven, throw in a little pasta sauce, and heat up the pasta noodles you cooked before you left home. National parks offer free days throughout the year. Yep. You can get in for the cost of gas and the hot dogs you have packed in your cooler. Free days include Martin Luther King, Jr. Day, Veteran’s Day, and other holidays. Or if you want to save money all year, go ahead and get the annual pass for $80. If you camp a lot, this route saves you a bundle. For example, let’s say you camp at least twice a month, seven months a year. That means that each time you go camping, it’ll only cost you about $5 and some change.